Secretary-general of the Palestinian cabinet Abdul-Salam Siyam said that the government in Gaza supports all forms of resistance against the Israeli occupation, hailing the Palestinian resistance's ability to invent new methods to respond to Israel's aggression. In press remarks on the 26th anniversary of the first intifada, Siyam said that all forms of peaceful and armed resistance against the occupation are an open option for the Palestinian people to defend themselves and their land. The official highlighted the Palestinian people's ability to create new ways of resisting the occupation, affirming that the resistance tactics and tools have evolved dramatically compared to the ones used during the first intifada. He called on the Palestinian people to make use of the great experiences of the first intifada and come together again to confront the occupation. "The Palestinian people from all spectra had set the finest examples by their cooperation, solidarity and coherence in the face of the occupation during that blessed period of their struggle history." 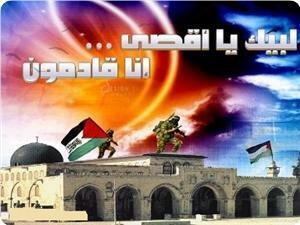 Palestinians commemorate today the 26th anniversary of First Intifada which lasted 79 months from 8th of 1987 to 1994. 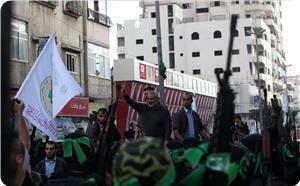 The revolution began in Gaza, it was later known as the First Intifada. 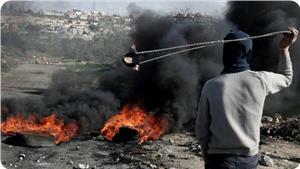 After twenty years of Israeli occupation Palestinian resistance exploded in full force. Boycotts, demonstrations, tax refusal, all of these were the strategies of the Intifada. Over one thousand Palestinians would be killed by Israel during the Intifada. More than 210,000 Palestinians were imprisoned in Israeli jails since the beginning of the intifada until the signing of Oslo Accords. For six years the Intifada burned, Palestinians were united in a massive nationwide campaign of popular resistance. Several Palestinians groups in the Gaza Strip have called for mass rallies in all Palestinians lands to commemorate the anniversary of Intifada. Intifada Youth Coalition called on his facebook page the Palestinians to gather at 12 o’clock on main squares of each town to” revolt against Israeli occupation as it done before”. 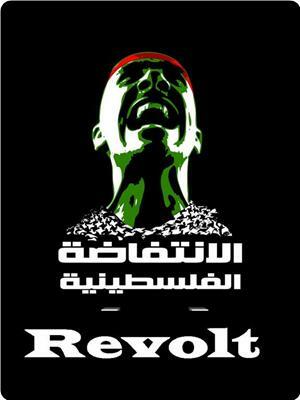 The intifada youth coalition called on the Palestinian young men and women to stage angry rallies and protests across the occupied Palestinian lands on the 26th anniversary of the first Palestinian intifada, which falls on Sunday, December 8, 2013. In a press release on Saturday, the coalition invited all West Bankers, especially the young men and women, to rally at 12 o'clock on Sunday afternoon in all areas of flashpoint and confront the Israeli occupation forces (IOF). The coalition also urged the Palestinians in the 1948 occupied lands, Jerusalem and the Negev desert to revolt on the same time against the IOF. As for the Gaza Strip, the coalition said that the Palestinian masses would rally today afternoon at Al-Shojae'ya roundabout and then march to the Israeli military post Nahal Oz, east of Gaza city. The Hamas Movement said that "the spark of the Palestinian intifada (uprising) is still flickering and the Palestinian people will rise up again to defend their land and holy sites." Hamas made its remarks in a press release issued by its information office on the 26th anniversary of the first intifada that falls on Sunday, December 8, 2013. "The Zionist occupation's crimes will only strengthen our fortitude and faith, and give us more determination to proceed with the path of resistance as a strategic option capable of achieving our people's aspirations for liberation and return," Hamas stated. It warned the Israeli occupation of grave consequences for its persistent violations against the Palestinians, their land and holy sites. "The masses of our people will not stay idly by with their hands folded and will revolt in defense of their national constants and holy sites." "The Palestinian people will stay loyal to every inch of their land and will keep rejecting all agreements and solutions waiving their rights, national constants and holy sites, and ignoring the blood of the martyrs and the sacrifices of the prisoners who gave their lives and ages for the sake of Palestine from its sea to its river," Hamas highlighted. Hamas reiterated its commitment to genuine national reconciliation based on a united struggle strategy able to confront Israel's schemes and crimes, liberate the land and build the Palestinian state. The Movement also called on the Palestinian Authority to immediately stop its futile peace negotiations and security cooperation with the Israeli occupation regime, stressing that the PA's ties with the occupation have caused enough damage to the interests of the Palestinian people and their resistance. AICafe invite you on Saturday 7 December from 7.00 p.m. for Stories of Resistance: 26 years to the Intifada in Beit Sahour. This presentation will tackle stories of the Palestinian resistance in Beit Sahour during the First Intifada, which started on 9 December 1987. Our guest will talk about the stories and experiences of "normal" daily life of the Sahouri people during these years of resistance and struggle. Beit Sahour had great influence during the First Intifada. It was the people of Beit Sahour who initiated a "no taxation without representation" campaign, which greatly influenced other areas of the occupied Palestinian territory. The people of Beit Sahour also conducted a self-reliance movement, growing their own vegetables and advocating a boycott of Israeli goods. The period of the Intifada was characterized by strong unity among all the people of Beit Sahour and cooperation amongst the different social and political groups. 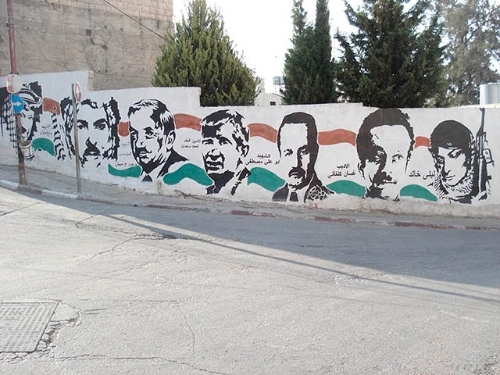 For its resistance the people of Beit Sahour were severely repressed beginning in 1988; houses and businesses were confiscated by soldiers and political leaders were imprisoned. 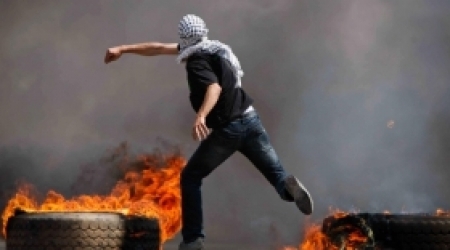 The First Intifada was possibly the most notable popular uprising of the late 20th century and created an image of Palestinians and Israelis that was influential for years to come. An understanding of the realities of the First Intifada is crucial for understanding the subsequent Oslo peace process and its results. Please join AICafe for this vital event! The AIC is a joint Palestinian-Israeli activist organization engaged in dissemination of information, political advocacy and grassroots activism. The AICafè is a political and cultural café open on Tuesday and Saturday night from 7pm until 10pm. It is located in the Alternative Information Center in Beit Sahour, close to Suq Sha’ab (follow the sign to Jadal Center). We have a small library with novels, political books and magazines. We also have a number of films in DVD copies and AIC publications which critically analyze both the Palestinian and Israeli societies as well as the conflict itself.